Is Coconut Safe For Nut Allergies? | [All Things Tanning] For Tan Fans! IS COCONUT SAFE FOR PEOPLE WITH TREE NUT OR NUT ALLERGIES? Let’s get the definitions of tree nuts, nuts, and coconuts, correct first before we delve into this question. Tree nuts include nuts such as Cashews, Almonds, Pecans and Walnuts. A Peanut is actually a legume and not related to a tree nut. A Coconut is a very different plant from the peanut or tree nuts. Just because it has the word ‘nut’ in it doesn’t mean that it will automatically trigger an allergic reaction in people who are allergic to peanuts or tree nuts. Most allergists don’t tell you to avoid coconut with tree nut allergies. The few reactions to coconut are an allergy to just it, unrelated to nut/tree nut allergy. Unfortunately the FDA (Food and Drugs Association) confused a lot of people a few years back when they added coconut to the list of tree nut allergens. Most people with nut or tree nut allergies do have the green light to eat coconut. 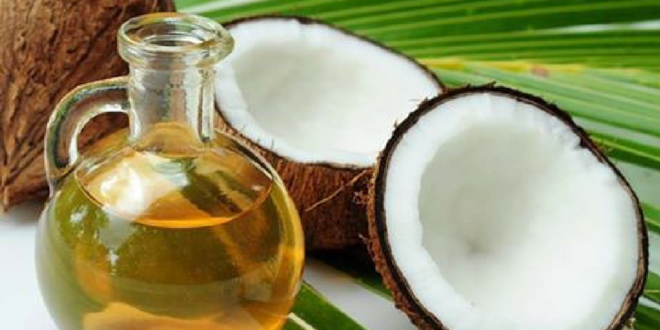 Whilst having an allergic reaction to peanuts and tree nuts is somewhat common, being allergic to coconut is very low, so much so that allergy testing to coconut is not considered as routine. At the present time there are no published studies examining how often people allergic to peanut or tree nuts are also allergic to coconut. The limited knowledge that we have would suggest that the risk is very low. The Food Allergy & Anaphylaxis Network (FAAN) also made a comment about coconuts vs nut allergies in an article that I read. This is what they had to say on the topic; “Discuss this with your doctor. Coconut, the seed of a drupaceous fruit, has typically not been restricted in the diets of people with tree nut allergies. However, in October 2006, the Food and Drug Association (FDA) began identifying coconut as a tree nut. The available medical literature contains documentation of a small number of allergic reactions to coconut; most occurred in people who were not allergic to other tree nuts. Ask your doctor if you need to avoid coconut”. When visiting my doctor today I asked him the question about nut allergies vs coconut/coconut oil that are present in some spray tan solution formulations and whether people with nut/tree nut allergies needed to avoid using solutions that contained coconut oil. His response was “No. They are unrelated. Just because you can have an allergy to nuts/tree nuts doesn’t automatically make you allergic to coconut”. I really wanted to clear this up as there are comments being made that you should not spray tan clients who have nut/tree nut allergies with solutions that contain Argan Oil and Coconut Oil. This comment is definitely correct when it comes to Argan Oil, but incorrect when it comes to Coconut Oil. It is imperative that you understand all about the ingredients in the solutions that you are using, and this is why I go through the main ingredients that are in my solutions in webinars when people first sign up to use my Brand, so they have a full understanding of what ingredients are contained within my solutions. Once you have an understanding of the ingredients in the solutions, with any brand you are using, it is easier to be able to pick out potential allergy risks when doing your consultations with your clients on their first visit. Please make sure you familiarise yourself with the ingredients in all of the solutions that you use… this is very important. I can’t stress enough how important it is to make sure that you are doing a full consultation either prior to their first appointment or at their first appointment which includes asking your clients about any allergies that they are aware of. If they are aware of any allergies that they have they will tell you. This will include, on the very rare occasion an allergy to coconut. If they state an allergy to an ingredient that is included in the formulation of a solution then avoid using that solution. This is why you should know the solution ingredients like the back of your hand. Just to reiterate… There are absolutely no nut ingredients in any of my Colour Me Bronze Professional solutions. It’s also important to get clients to sign the consultation form stating that they have given you all the relevant information, in the case of a rare incident that a client may be allergic to something that they were unaware of. This brings another topic of discussion which I will write another post on shortly… Having Your First Aid Certificate, so you know what to do in a case of emergency. I hope that this has cleared up any questions or doubts that anybody had with regards to solutions containing coconut oil and nut/tree nut allergies. Nothing is 100% allergy proof, there will always be somebody that is allergic to something, but at least now you have learned something new like I have. A coconut is not actually a ‘nut’, it’s a fruit and should not be put into the same category as peanuts and tree nuts when it comes to allergy classifications. Any questions regarding the above please comment below!